This event took place here at Cal State San Marcos in the Art building. It was given by Deborah Small’s photo documentary class. I happen to have had my own piece hung up on the the wall for the event. It was cool to see pictures that my classmates have been taking. 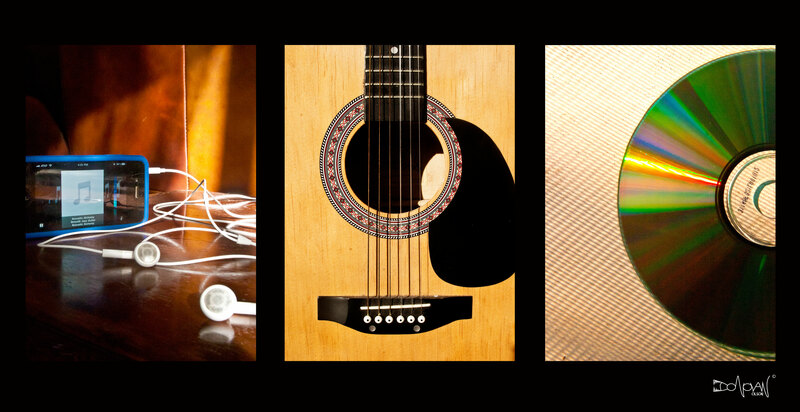 A “triptych” is three images next to each other that are related in some way. Some of the pictures at the event that were up were of certain people or places, depending on what the subject of the student’s documentary was. It’s hard to choose a favorite because there were so many great ones. One I liked a lot was Eric Lopez’s photos that had three photos of spray paint can caps and stencils used in street art. And there was also Lance McCormick’s, who had great photos of his friend who is a radio voice actor at Clear channel. 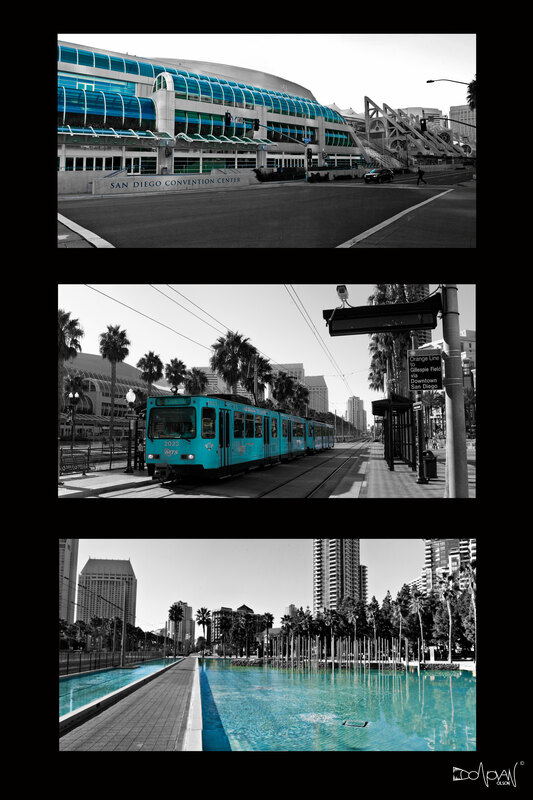 The triptych that I did involved three photos of downtown San Diego. 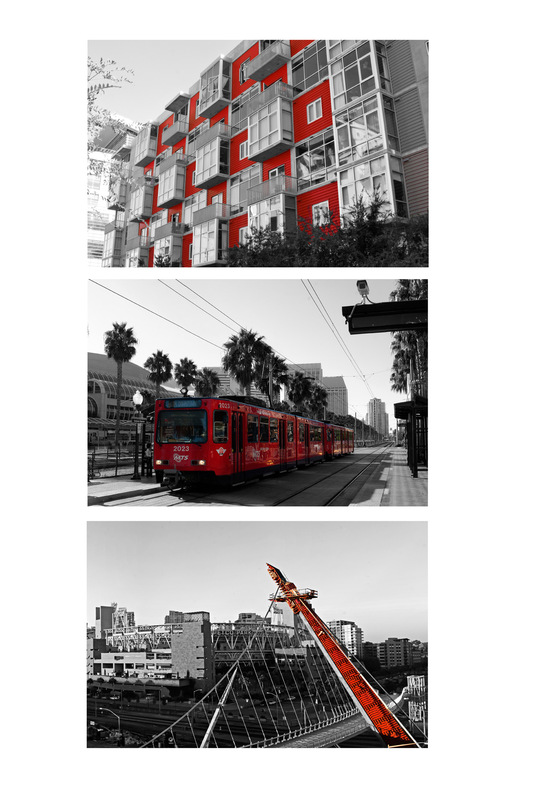 I messed with the color to make the red in each photo stand out. I wish I would of made the background black, but nonetheless I’m happy with the way it turned out. 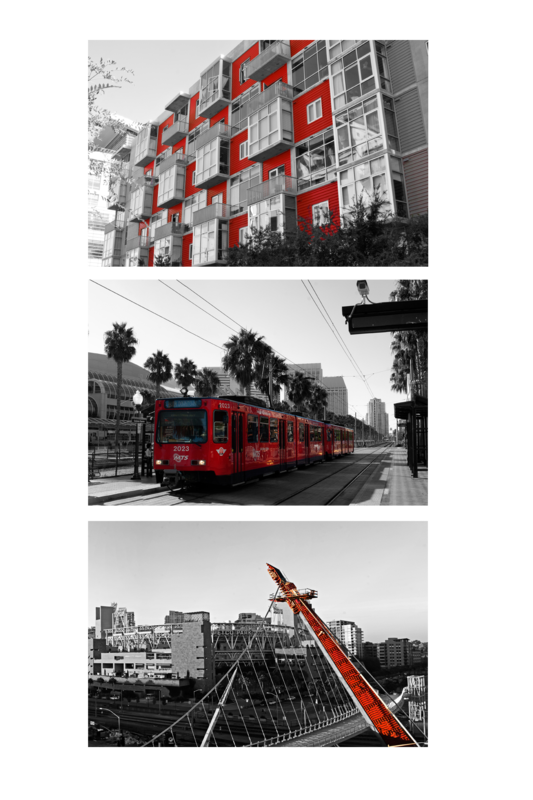 Here is my triptych which is also up in the photo section of my blog.